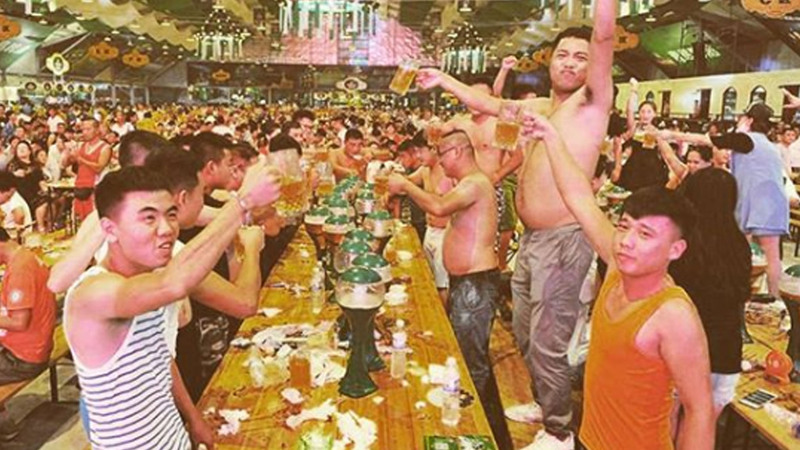 Hailed as the Asia’s Oktoberfest, Qingdao International Beer Festival is the grandest of its kind in Asia, as well as in the entire country of China. It was first held in 1991, in honor of their town’s hundredth anniversary. With a long-running year history, the festival has grown to not only nationally but also globally recognized by various people from different parts of the globe. While tourism plays a valuable role, other aspects such as culture, sports, and arts have been combined to also promote the economy of the city. With one of Qingdao’s pride, Tsingtao beer is now among the world’s top most influential brand which was founded in August 1903 in Qingdao itself. From 1991, Qingdao International Beer Festival has grown to be an annual event ever since. It is now held on the second week of August and typically lasts for 16 days. And in that 16-long days, there are over 200 events that are not strictly limited inside the town that you could get engaged with. Imagine a long table filled with beers, an upbeat music, festive dances, hot bikini models, beautiful fireworks and light-shows display; these are the things that you could witness when you visit the town of Qingdao. And what’s a beer festival without beer contests, the festival also features different drinking-related activities such as beer tasting, various brewery beer tents, beer carnival games and a lot more. Besides beer, carnival amusement park games and rides are also one option for the non-drinkers out there. With a population and beer brands that are unimaginably huge, Qingdao Beer Festival has indeed matured into Asia’s largest annual beer festival. Cheers? Previous articleCowes Lendy Week: UK’s Biggest And Best-Known Regatta.